Q: Are people with driver’s licenses from countries outside the United States allowed to drive in Massachusetts? A: A foreign visitor at least 18 years old with a valid driver’s license from one of the 130 countries listed in Appendix A of the Massachusetts Drivers Manual (available atwww.mass.gov/rmv) is allowed to drive for one year from the date of arrival. Thus, law enforcement authorities would ask to see both the license and the driver’s I-94 card from US Customs and Border Protection showing the date of arrival. The Massachusetts Registry of Motor Vehicles stresses that it recognizes only licenses issued by the relevant government agency in the holder’s home country. There are scams on the Internet selling documents called “International Driving Permits” or “International Licenses,” often purporting to be issued by the United Nations or some other authority. These are worthless pieces of paper, and anyone caught driving with one of them instead of a valid foreign license could be charged with operating a vehicle without a license. The website for the Massachusetts Registry of Motor Vehicles, www.mass.gov/rmv, contains further information on this topic, as well as all the procedural requirements for obtaining driver’s licenses, registering vehicles, etc. Keep in mind that the regulation of motor vehicles and drivers is primarily a state law issue in the US, not a federal one, so the law and regulations covering driver’s licenses in other US states and territories may differ in various respects from those in Massachusetts. Those interested in jurisdictions other than Massachusetts should consult the web sites of the relevant motor vehicle licensing authorities. 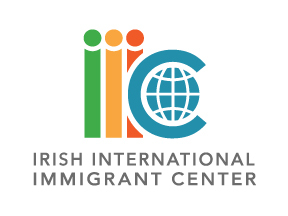 For a free, confidential consultation on any aspect of immigration law, visit one of IIIC’s legal clinics advertised in The Emigrant. Disclaimer: These articles are published to inform generally, not to advise in individual cases. Areas of immigration law are subject to change. US Citizenship and Immigration Services and the US Department of State frequently amend regulations and alter processing and filing procedures. For legal advice seek the assistance of an IIIC immigration specialist or an immigration lawyer.